To update your smartphone to BlackBerry 10.2, just wait until you get the alert in the notifications section of the BlackBerry Hub. Alternatively, you can manually check for software updates by heading to the System Settings menu and selecting Software Updates. While the download will happen in the background so you can keep using your smartphone as it downloads, BlackBerry recommends you make a backup of your data just in case. Priority Hub: This new feature learns what conversations are most important to you and automatically puts those messages at the top of your inbox. Furthermore, the new attachment view helps you organize files and documents across your messaging accounts and within specific message threads. BBM Video with Natural Sound: Video and voice conversations between BlackBerry 10 smartphones sound “more natural and realistic” which BlackBerry says is possible because BlackBerry Natural Sound captures a wider sound spectrum, so you can hear subtle nuances that are lost in most cellular calls. Instant Previews of BBM, SMS and Email from any app: These messages now find you no matter what you are doing on your BlackBerry: previews appear in any app. 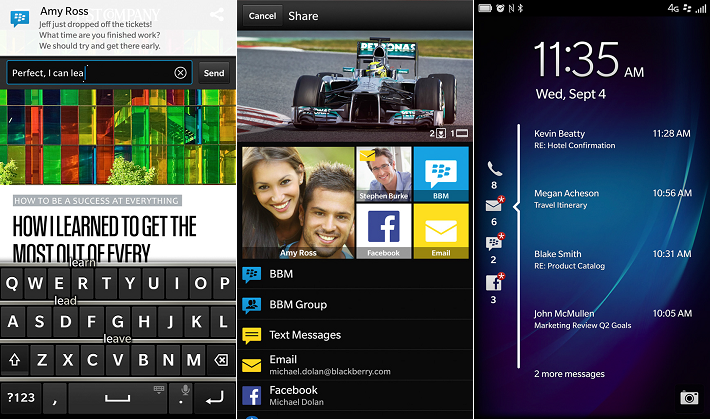 You can respond directly to BBM or SMS or go to the BlackBerry Hub with a single swipe to respond to email. 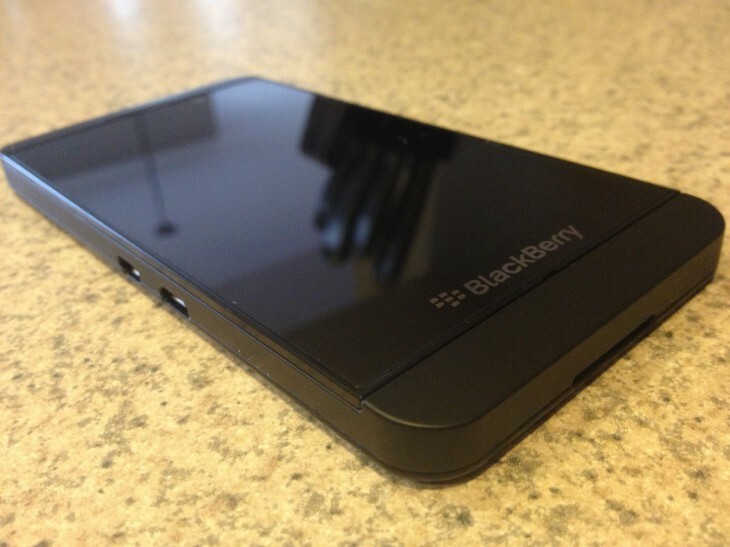 BlackBerry Keyboard: The smartphone keyboard has received personalized next word suggestion, auto-correction, and improved audio feedback with distinct tones for specific keys on the BlackBerry Z10 and BlackBerry Z30. Copy and Paste Enhancements: More precise cursor control and easier text selection. Once you select text, a pop up menu gives you editing options and direct sharing with BBM, Facebook, and Twitter. Faster, Easier Sharing: BlackBerry 10.2 learns how you share and who you share with, helping you reduce the number of steps and amount of time it takes to send your files, photos, or documents. Tapping “share” in any app provides suggestions on who and how to share your files based on how you’ve shared in the past. Lock Screen Notifications: When the red light on your BlackBerry 10 smartphone is flashing, you no longer have to unlock the phone to see your message. Notifications on the lock screen let you see email, text, and BBM as they come in. Reply Now: Respond to incoming phone calls through BBM, SMS, or email when it’s not a good time to answer the phone. A list of standard automated responses are available in addition to personalized notes. Calendar Enhancements: BlackBerry Calendar now has an “I’m running late” function so you can instantly let meeting participants know if you’ll be late. You can also specify a new time in your notification. If all goes according to plan, all BlackBerry 10 users should have these features by the end of the year, with most getting them by the end of the month.